About two years back i bought my first portable music player Sony NW-E003F that has a capacity of 1GB with a small single line display. I have listened to music on variety of devices as i have mentioned in one of my previous post. I see ipods with varients, zunes and other music players everyday with 80GB or more memory. They also seem to have a good sized LCD screen. Even today, I don’t see myself needing over 1GB of songs at anytime, and don’t understand why people need over 80GB of songs, duplicated in their computer hard disk as well as in their music players. Pick a few hundred favorite songs, latest songs included. Upload that to my music player from my desktop. Listen to them a few times over and over for the next couple of months, till you get bored of these songs. Why wouldn’t i like to have an 80GB music player? First, i will not really be enjoying listening to all the 25,000 songs in the player. Instead of hitting the ‘next’ key many a times before i hear the tune of my favorite song i would rather like to listen to the songs i like, in succession. With over 200 songs in 1GB i would hit ‘Next’ some 2-3 times everyday, how many time i’d have to press Next if i had 80GB of songs? 80 * 3 = 240 times! This also has another disadvantage. The more i skip the songs that i don’t like much, the more the battery is drained. This would reduce the playback time of the player. So, i would be getting less than 25% of the specified playback time. Also, the big LCD screen hogs too much of battery as well every time you happen to strike a key. My Sony player also comes with an FM tuner which i hardly tune in to as i have all my favorite songs in 1GB. So, i don’t need to listen to the blah blah of radio jockeys. Most of us don’t download music straightaway on to the music player as we neither have 3G or WiFi access in India. So, having copy of same song in computer and music player makes one of the storage redundant. Now, wouldn’t it be great to have videos? 1GB is no good for storing videos, 80GB sounds great for this. I agree, but how often and how long would one watch those videos relentlessly? 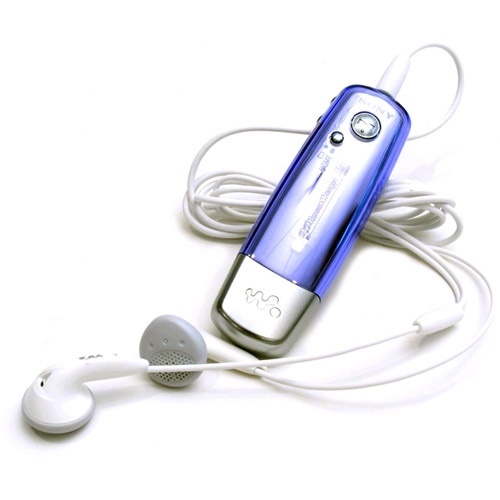 Would you watch an entire movie on your 3inch LCD screen of the music player unless you happen to be on a long flight? Not really, ain’t it? So, a huge memory music player and mobile phones are just marketing gimmicks by these companies that do not come up with any worth while feature, may be other than touch screen. The battery of the player is also a very important factor as i have already mentioned. I don’t want to keep charging my player more than i’m listening. I charge my Samsung C160 phone once in 2 days when i talk less than 3 hrs per week. Sony NW-E003F player once in a week, for less than half an hour, listening to at least 2hrs of music per day on my battery driven Bose Quiet Comfort 3 headphones. I charge the Bose headphones once in two or three weeks. 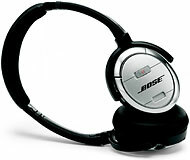 Bose QC3 is the best among any speakers or headphones i have listened to music on till date. P.S. : Can you guys tell me how often you need to charge your cellphones or music players or laptops and how much you use them?